The government has increasingly turned to hacking and the use of malware as a technique to gather evidence in prosecutions, and it isn’t just local law enforcement and district attorney’s offices: According to the report, the Federal Bureau of Investigation (FBI) has been found deploying software designed to infiltrate and surveil computer activity since at least 2002. To this end, the above-mentioned report analyzes recent case law concerning this constitutional controversy and provides recommendations on how to ensure that this evidence is suppressed. The FBI in particular has developed a technique which enables it to conduct “bulk hacking,” where teams of agents hack thousands of computers in one single operation on the basis of one warrant. Malware effectively allows agents to detect who is using privacy-enabling software to hide their IP addresses and/or using technologies such as Virtual Private Network or Tor to shield their locations and identities. The malware even allows them to access encrypted communications under some circumstances. 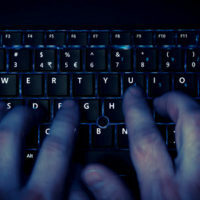 In what arguably involves some level of entrapment, the most frequently used form of government bulk hacking is what’s known as a “watering hole operation,” which involves the government effectively operating a website associated with criminal activity, thus using it to deliver malware to thousands of users connected with the site. The malware, delivered or installed on the user’s computer after they have visited the page and/or clicked on something, then takes control of that computer and begins to search for any and all information sought by law enforcement, delivering that information back to law enforcement’s server. The FBI does this via obtaining a warrant, relying upon Rule 41 of the Federal Rules of Criminal Procedure. This one warrant not only enables it to search thousands of computers all over the country, but also all over the world. However, the practice clearly has numerous constitutional and legal violations associated with it, and as a result, many criminal defense attorneys have argued to suppress any evidence gathered as a result, and some judges have also simply rejected hacking warrant applications. If you are the victim of illegally-obtained evidence, get in touch with our office of criminal defense attorneys right away. Serving New York and New Jersey for over 25 years, the office of Phillip J. Murphy is prepared to ensure that your rights are protected.